UO oceanographer Dave Sutherland wore shorts and a T-shirt. Outside the temperature was 104 degrees. Inside his Volcanology Building office, he sat near a hard-working window air conditioner. He'd just returned from Alaska's LeConte Glacier and was ready to talk about ice. Sutherland in the last year has landed four National Science Foundation grants. Much of his work has focused on melting glaciers in Greenland, where he first journeyed in 2004 as a doctoral student at the Woods Hole Oceanographic Institution. With concerns of rising sea levels resulting from global warming, his research tentacles now extend to other icy coastlines of the Western Antarctic Peninsula and Alaska. He's not leaving his work in Greenland behind. 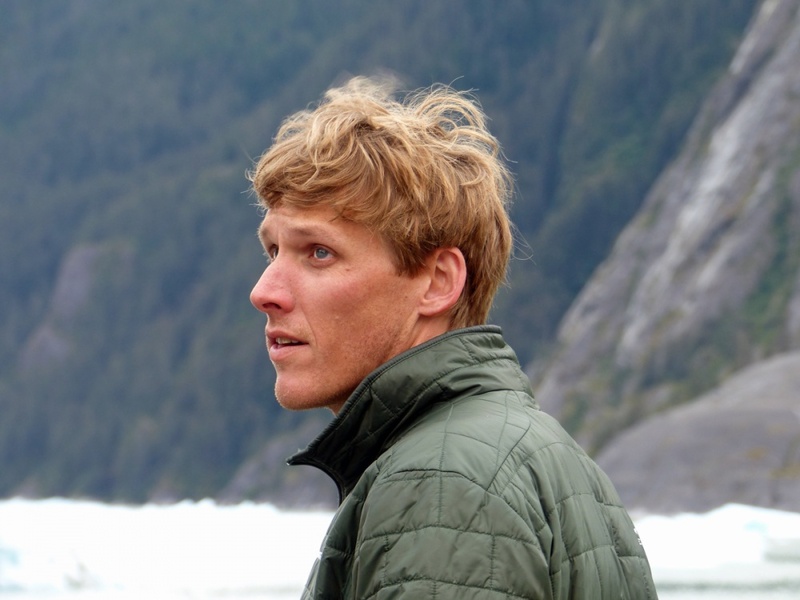 Under a newly awarded five-year, $800,000 early career award, he will focus on melting icebergs in the island nation's fjords. He will use ship- and helicopter-based instruments to measure melt rates. "The central theme in most of my research is ocean-ice interactions, except now I'm thinking about icebergs — how they melt and how they move," said Sutherland, a professor in the Department of Earth Sciences. "Icebergs contribute a lot of freshwater that feeds back into the fjord circulation, and thus to glacier dynamics. Icebergs also move out of the fjords and transport solid freshwater to the larger ocean and thus affect global ocean circulation that regulates all sorts of climate variables." A year from now, the same grant will lead his group into Eugene's middle schools as part of the UO's role in the Lane County STEM Hub. 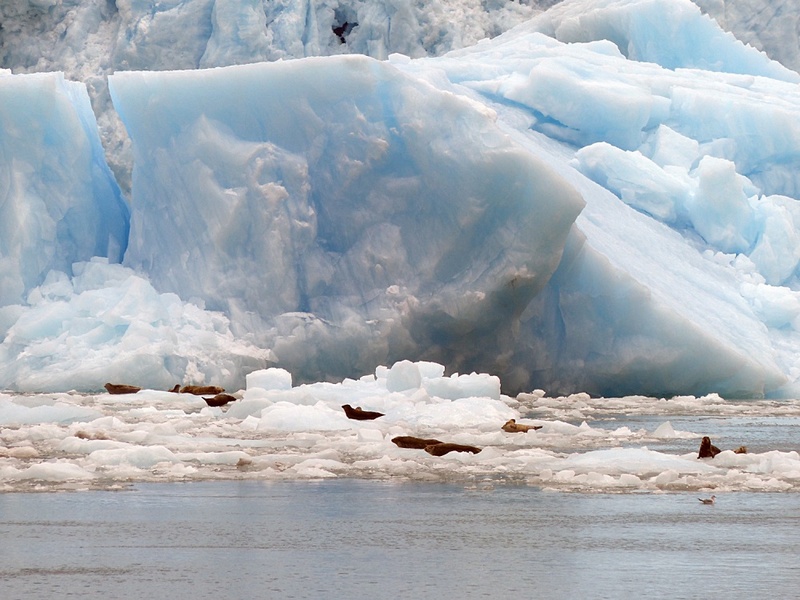 The idea is to blend glacier research, sea-level rise and other climate-change issues with math, physics, geology and oceanography as part of a climate science curriculum. 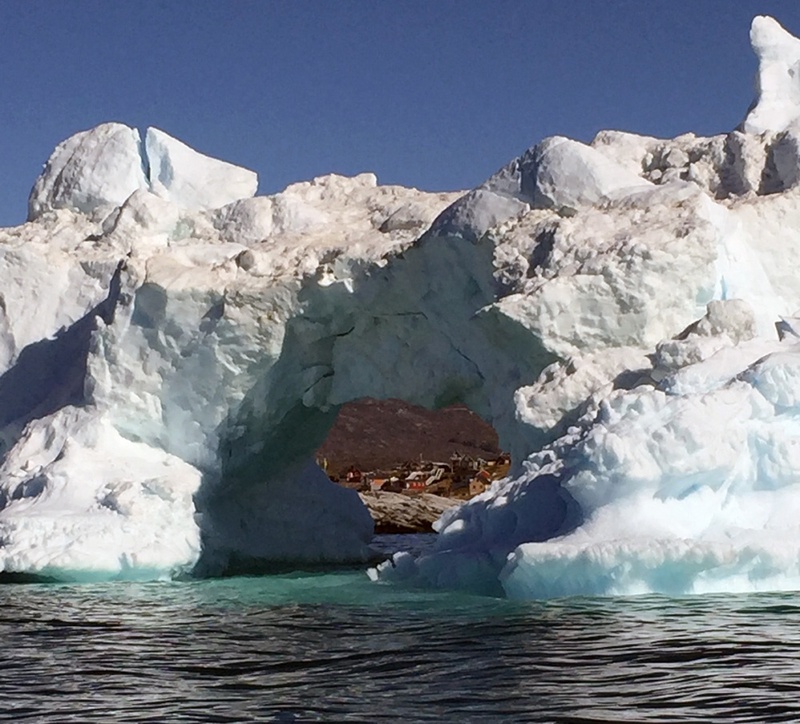 Sutherland's experience in Greenland also has led to a new two-year NSF grant in which he will help lead a new international research collaboration network that aims to reduce redundancy and bring efficiency to the funding of multiple scientific teams studying the Greenland ice sheet. Former NSF postdoctoral fellow Twila Moon, who worked with Sutherland at the UO and is now a lecturer at the University of Bristol, will assist in the project. Just before returning to his UO office in late August, the work in Alaska was featured in a story in the Petersburg Pilot, a newspaper that covers the region south of Fairbanks. Sutherland and a colleague from the University of Alaska Southeast were interviewed. Sutherland's team also includes two researchers from Oregon State University and one from the University of Alaska Fairbanks. 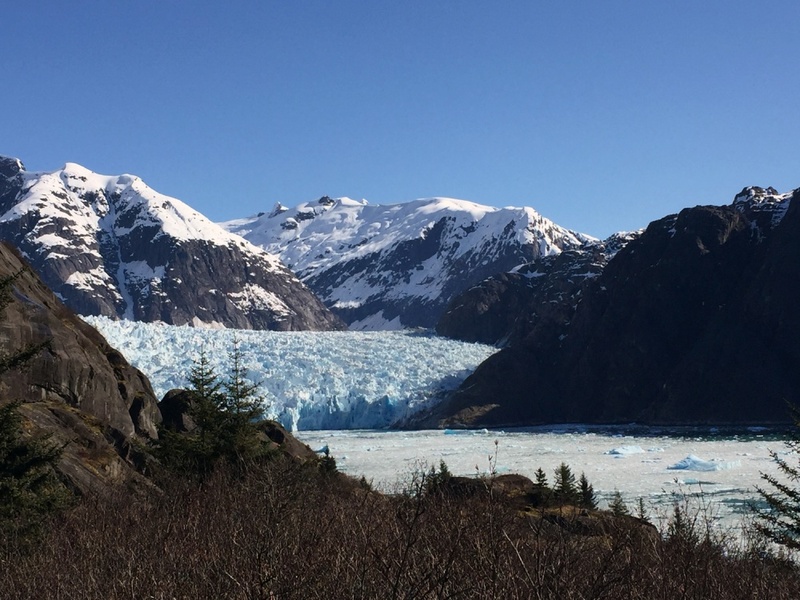 Under the grant that began in September 2015, the team aims to understand the physical relationships involved where seawater meets ice from tidewater glaciers that end in the ocean. "These glaciers are less well studied than mountain glaciers," Sutherland said. "On mountain glaciers people can go up them and walk inside and sample them really well, but tidewater glaciers are harder because they typically are much bigger. They end in the ocean, and the fronts of them are typically more vertical so you can't access them very well because of the calving ice." The team is using remote-controlled boats to get up close. "We've been imaging the glacial faces near the water using multi-beam sonar so we can see how things change through time," he said. From above, another team is documenting changes with time-lapse photography and physical measurements. The group's first trip to the site was in late March. Four additional trips are planned. A new three-year grant for work in Antarctica, which began June 15, doesn't put Sutherland or co-principal investigator Mark Carey, a professor of history in the Robert D. Clark Honors College, on the icy continent. Instead, they will explore existing data, as well as unpublished data compiled by collaborator Eugene Domack of the University of South Florida. "We want to look at whether the ocean is contributing to glacier retreat in the peninsula," Sutherland said. "We are doing this with a synthesis of historic observations and a lot of numerical modeling at all levels of scale, including the circumpolar current that circles all of Antarctica all the way down to a smaller scale, that of fjords that measure just hundreds of meters." The glaciers are part of a mountain range. Air temperatures are colder to the south, but ocean temperatures at the north end are colder than those coming from the south and well below the surface. Sutherland wants to know whether it is warming air or ocean temperatures driving the glaciers' retreat. "We hope our modeling gets us to that." Carey's research on the social impacts of glaciers around the world comes into play because people inhabit the peninsula year round. 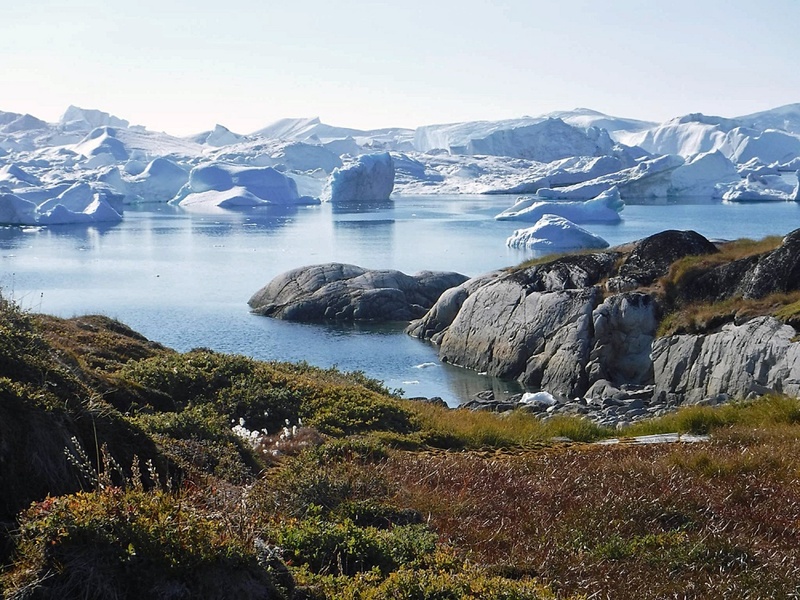 Because it reaches northward toward the tip of South America, the peninsula offers easy access for numerous bases for the scientists studying in Antarctica. It also draws tourists and commercial fishing operations. "It is clear that glacier retreat in Antarctica can have far-reaching impacts on sea levels, which can affect societies worldwide," Carey said. "But people are also active in and around the West Antarctic Peninsula, where tourism, scientific research, species and ecosystem conservation initiatives, and other activities are increasing all the time." Carey will study how these human systems and activities are affected by changing ocean-ice dynamics. The grant, he said, also will support undergraduate and graduate student research assistants, who will gain experience conducting integrative research in the natural and social sciences. 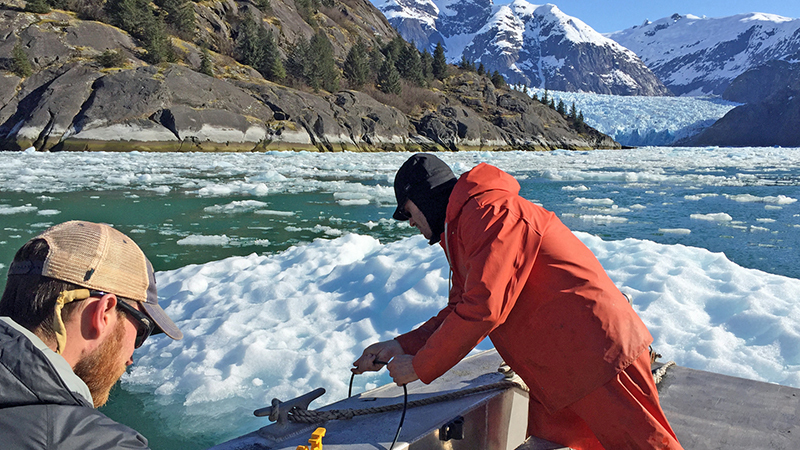 "This project fits nicely into ongoing work through my Glacier Lab," Carey said. "We focus not only on glacier disasters and water security issues in mountain regions like the Peruvian Andes, but also on the history of glaciology and human-ice interactions in polar regions." David Sutherland is an expert in climate change and how melting glaciers and polar ice caps affect ocean temperatures, sea levels, and life in the water and along the coasts. Mark Carey is an expert on societal dimensions of climate change, natural disasters, glacier retreat, mountaineering and water management, especially in the Peruvian Andes but also in many other parts of the world’s mountain ranges. Learn more about Sutherland and Carey, and find more UO experts on the Media Relations website.